Before a single celebrity walks the red carpet or the paparazzi snap their first shot, we’ll be preparing for our own OSCARS party with our favorite snacks along with our favorite candies, M&M’S®! Unlike the Super Bowl, we look forward to talking during the commercials – which designers the stars chose, who’s the best or worst dressed, and who will take home the coveted award. And, it gives us a chance to snack on a handful of M&M’S®. You’ve got to know when to hold ’em… and with M&M’S®, we go all in. We each get a good helping of our favorite M&M’S®, whether it’s Peanut M&M’S®, new Crispy M&M’S® (which are my favorite), or the classic milk chocolate M&M’S® at the beginning of the OSCARS. Each time a category is announced, we place our bets with our stash of sweet candy goodness. When they announce the winner, we award the ‘pot’ to the person who guessed correctly. If more than one person chose correctly – if they chose the same winner – then the winner’s split the pot. It’s a great game to play during the show and great to snack on during commercials. Our official OSCARS snack, M&M’S®, is commemorating the biggest night in Hollywood by debuting a commercial on national TV that shows M&M’S characters invading the movies. This is actually perfect since M&M’S® and movies go together perfectly and are an ideal match for enjoying an award show or movie-watching experience. 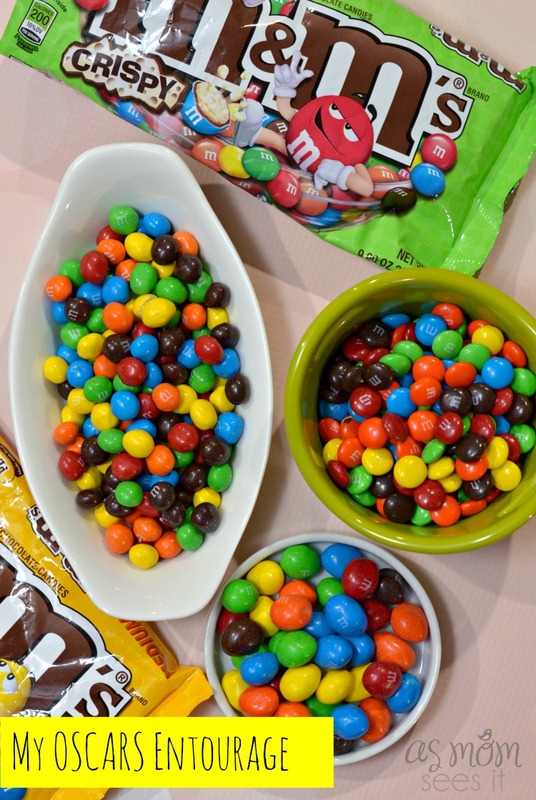 Whether you eat them by sorted by the color of their candy shells or their delicious variety of flavors, M&M’S make any special occasion sweeter. The Academy Awards (OSCARS) will be televised live tomorrow, Sunday February 22nd on ABC. Check your local listings for the time. Follow M&M’S for more great ideas! What do you love most about watching award shows? Which are your favorite snacks when you watch the OSCARS? How #AvengersUnite For Play Time And Snack Time!